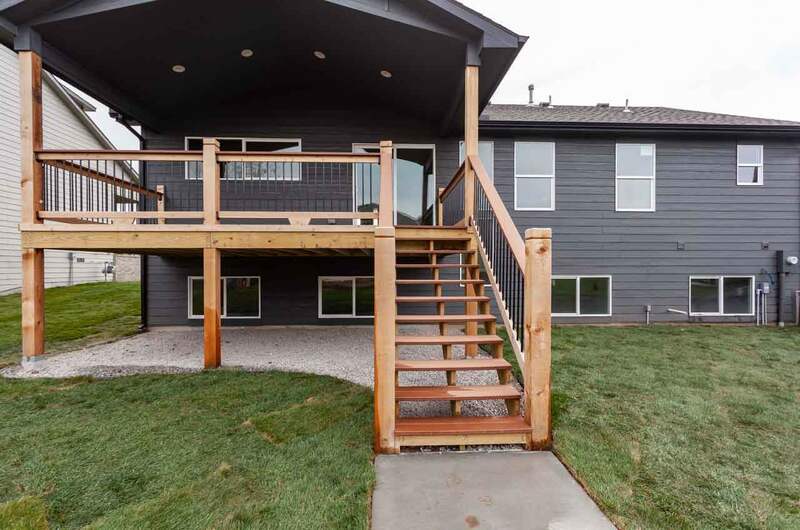 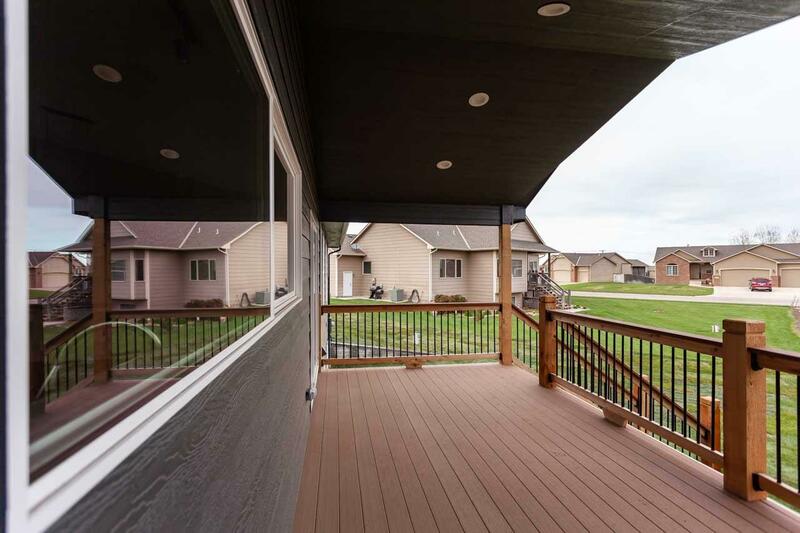 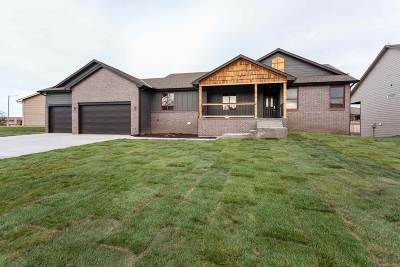 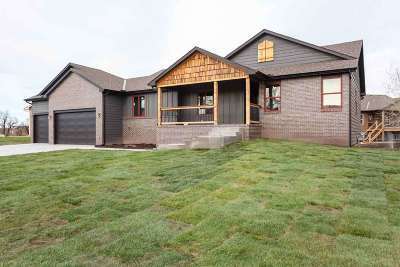 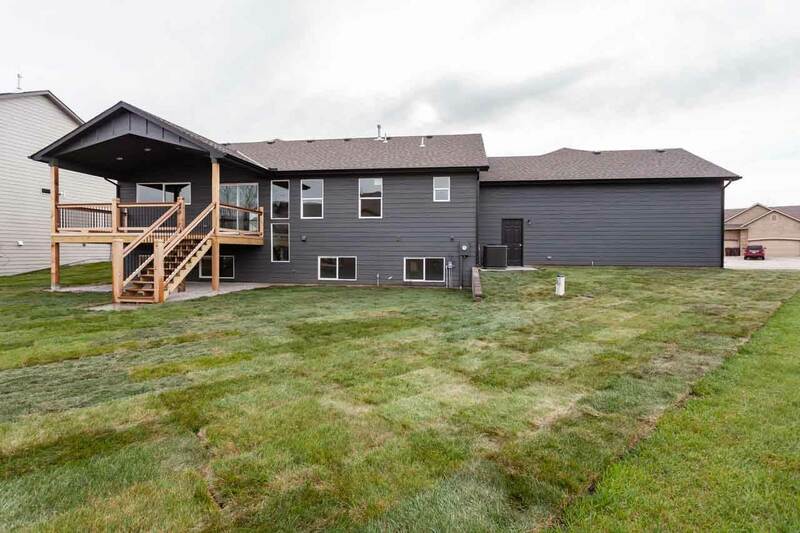 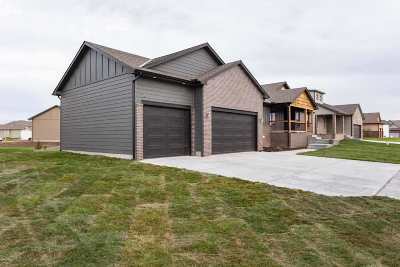 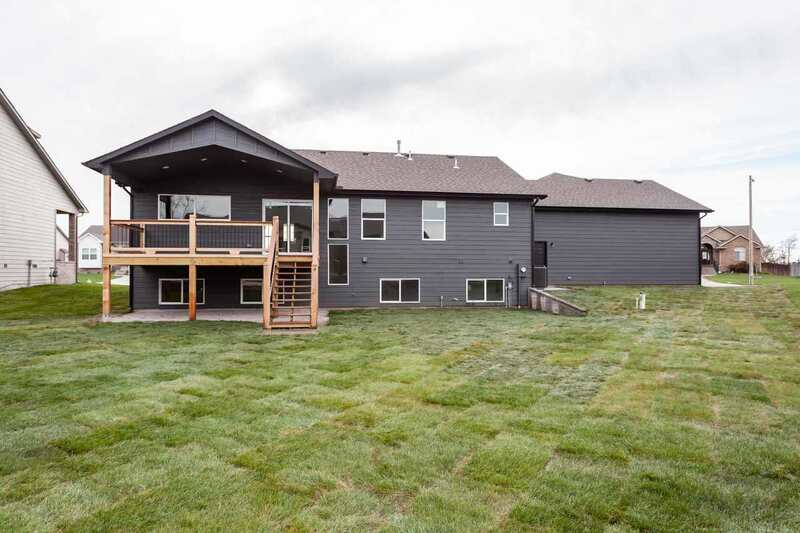 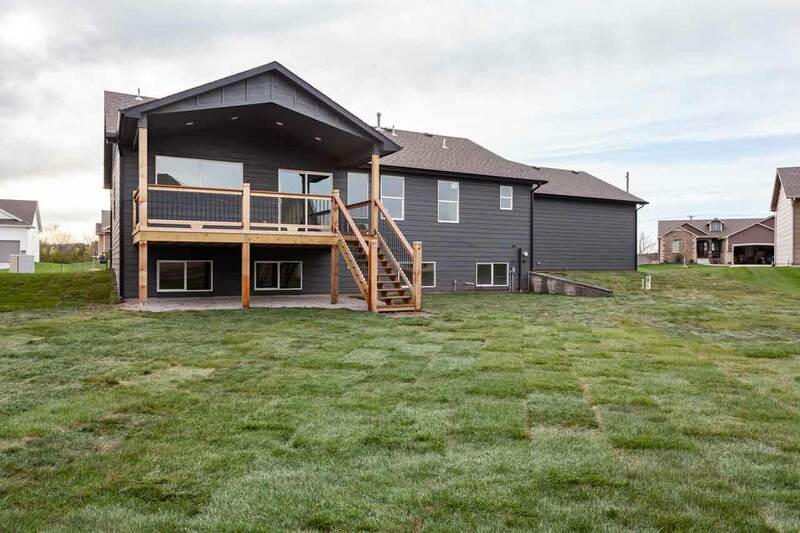 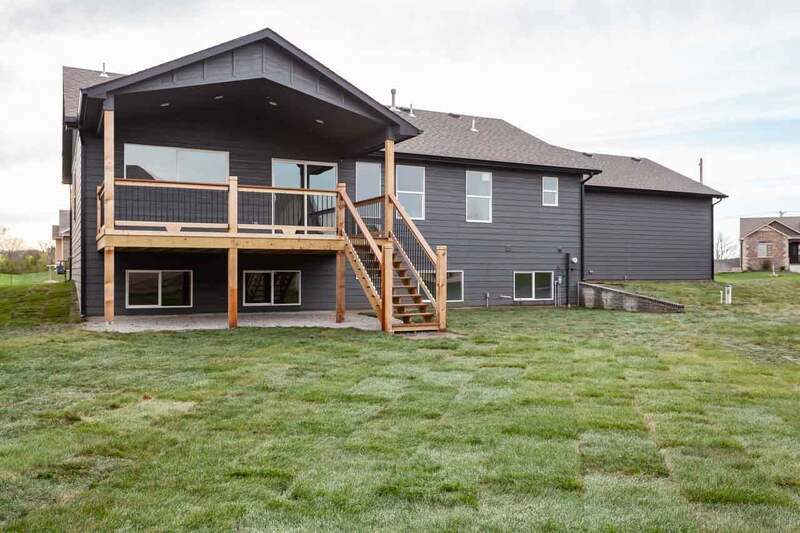 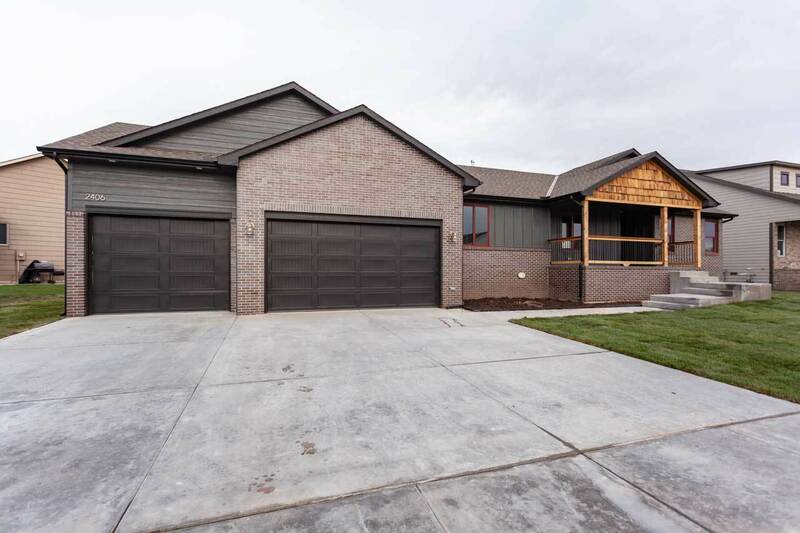 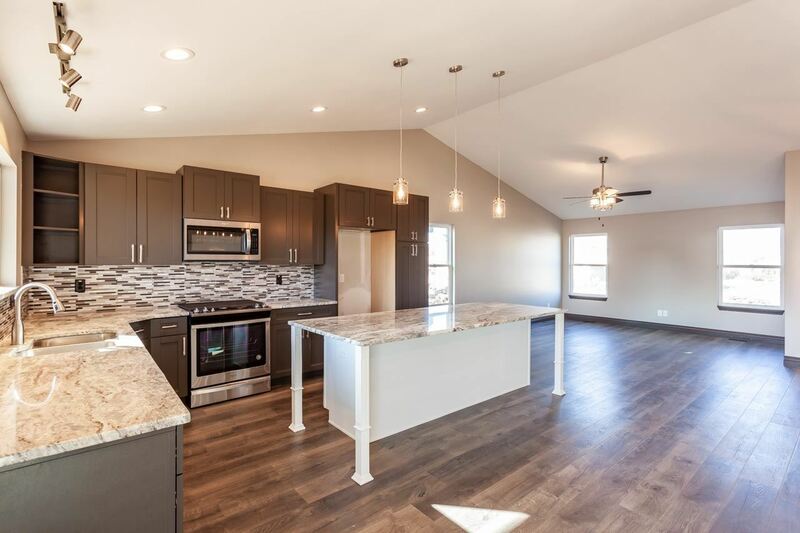 Check out another gorgeous home just built by COSH Construction in Goddard schools! 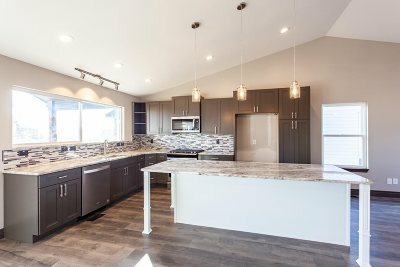 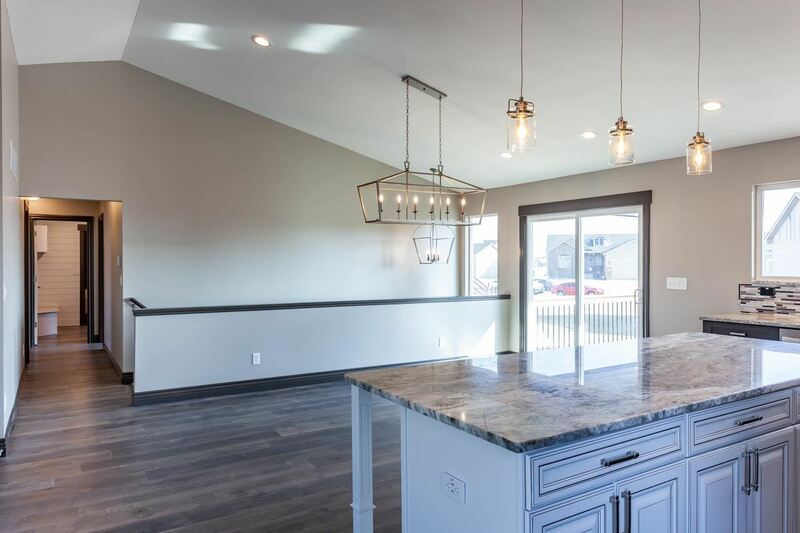 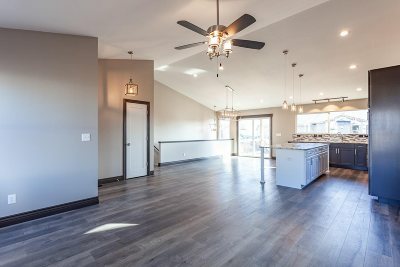 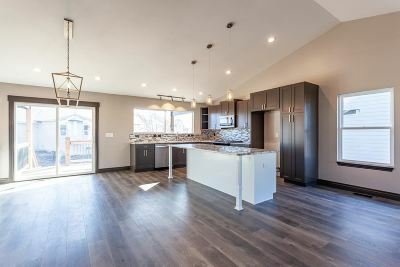 This home was designed with entertainment in mind, and you'll fall in love with the huge open concept living and kitchen area when you walk in the front door. 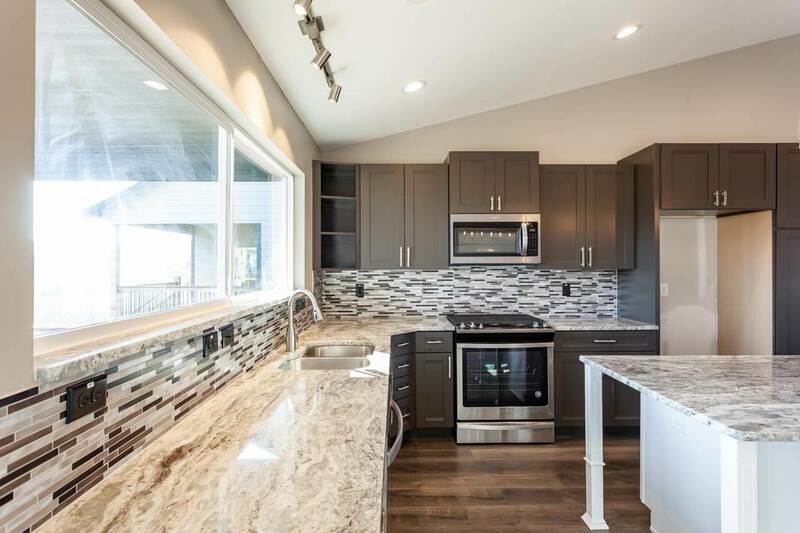 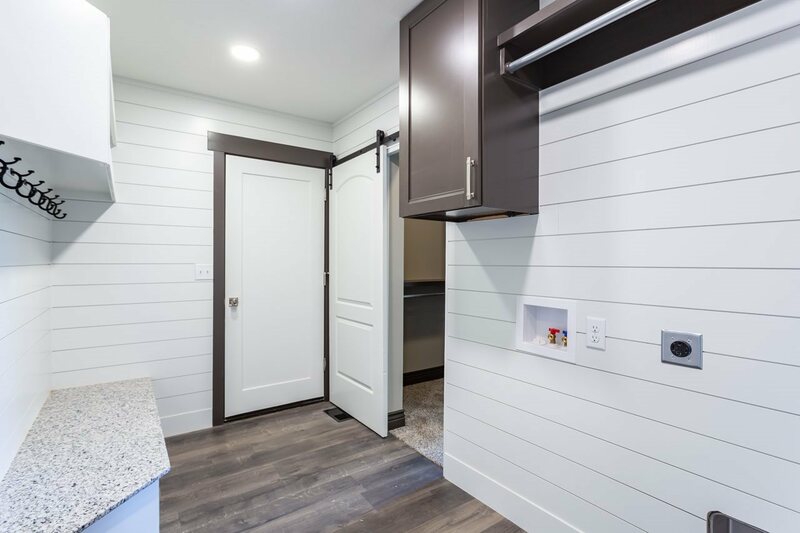 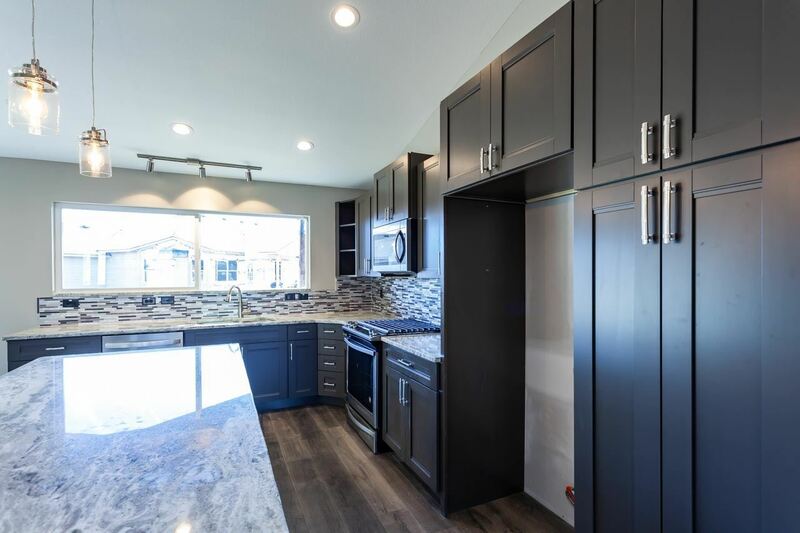 The kitchen boasts a 10 foot island and has a huge 8 foot pass-through window from the kitchen to the 20X10 covered deck made of composite decking material! 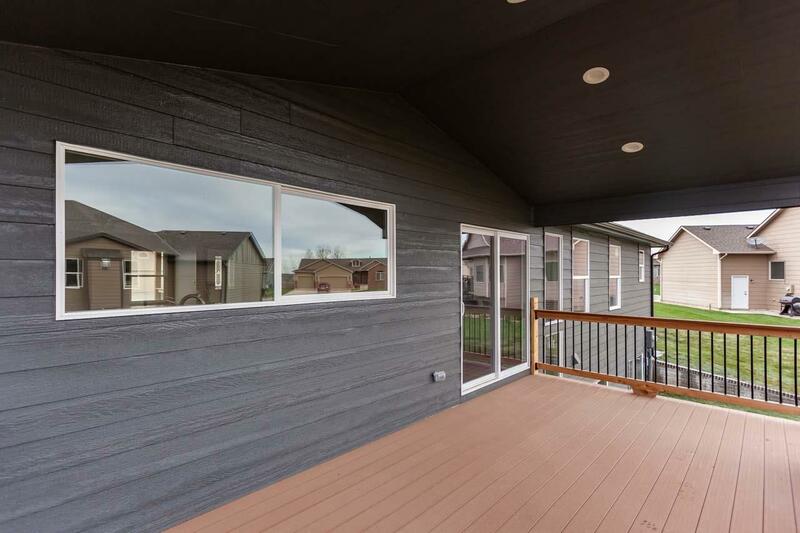 (And the deck faces the east, so you'll be able to enjoy it all summer long without the scorching sun setting that direction.) 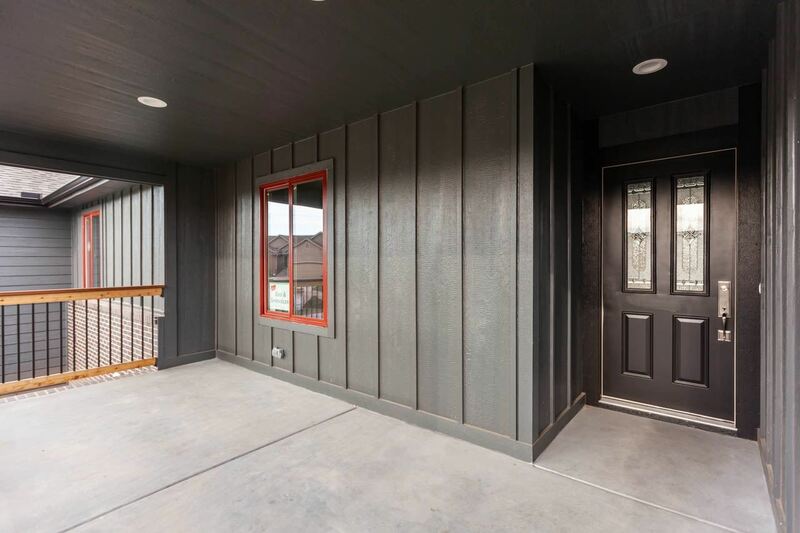 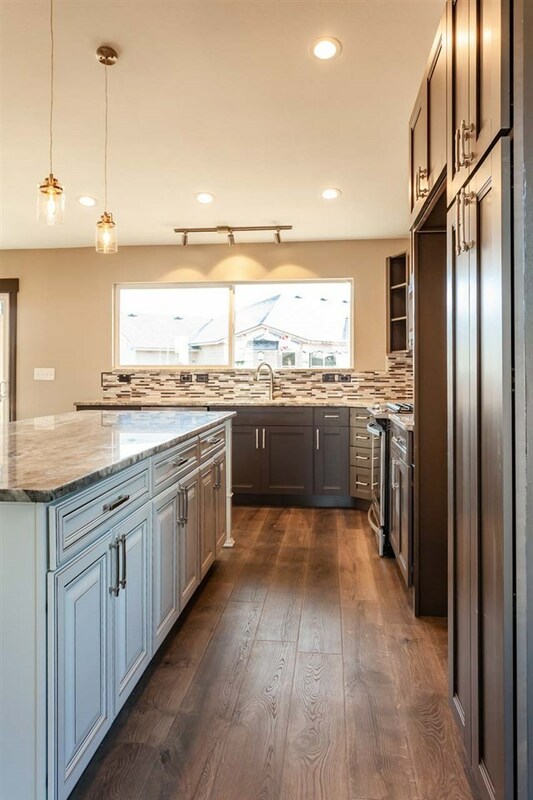 The pass-through window will be much appreciated by the person in your household that does the grilling â making it easy to pass items back and forth. The kitchen was finished with vaulted ceilings, a high-end gas range, built-in microwave, and upgraded dishwasher. 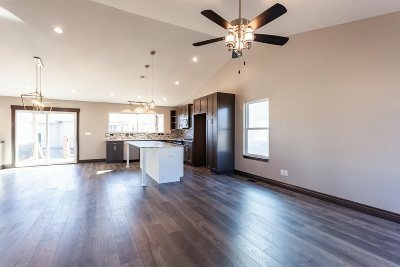 The dining room is over-sized and just off the kitchen, and has plenty of space for a dining table to fit 10 or more people. 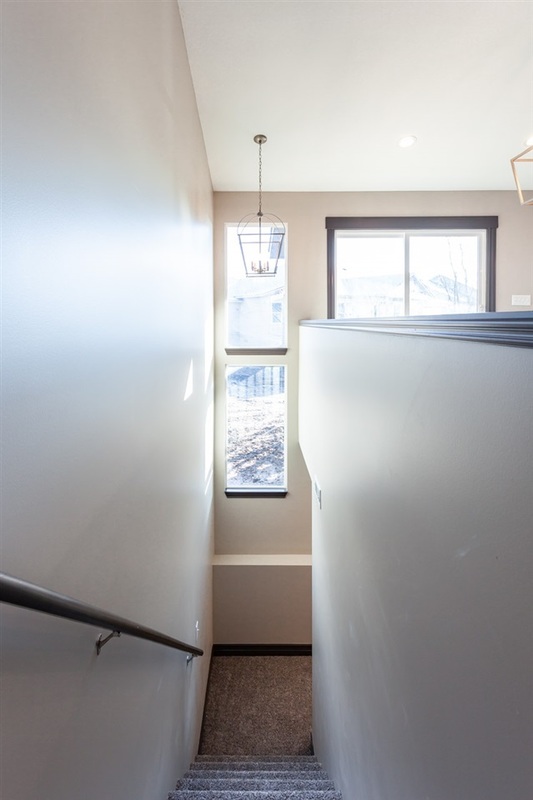 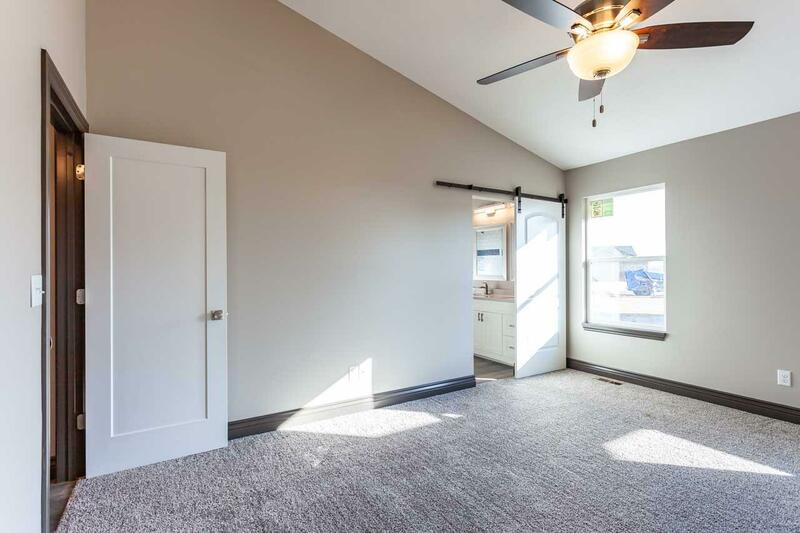 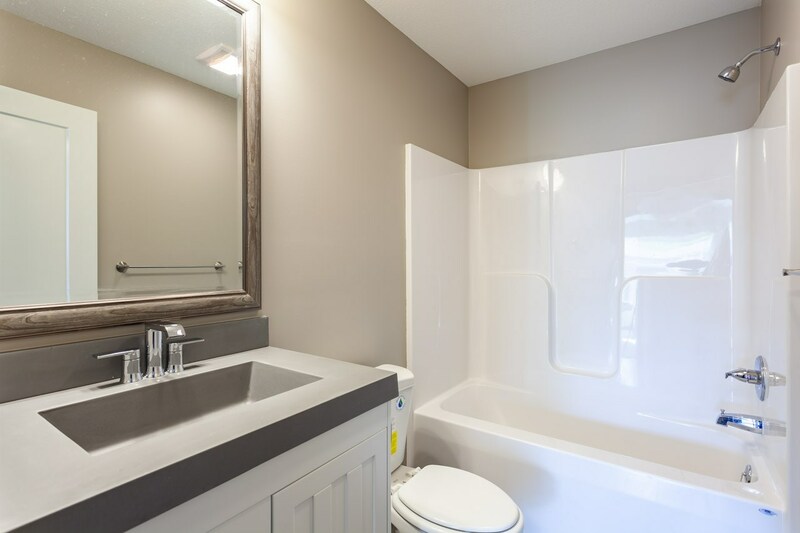 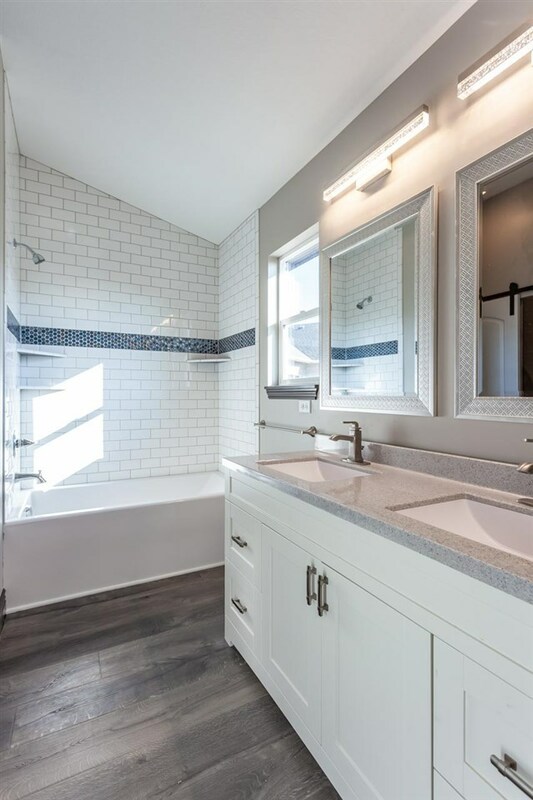 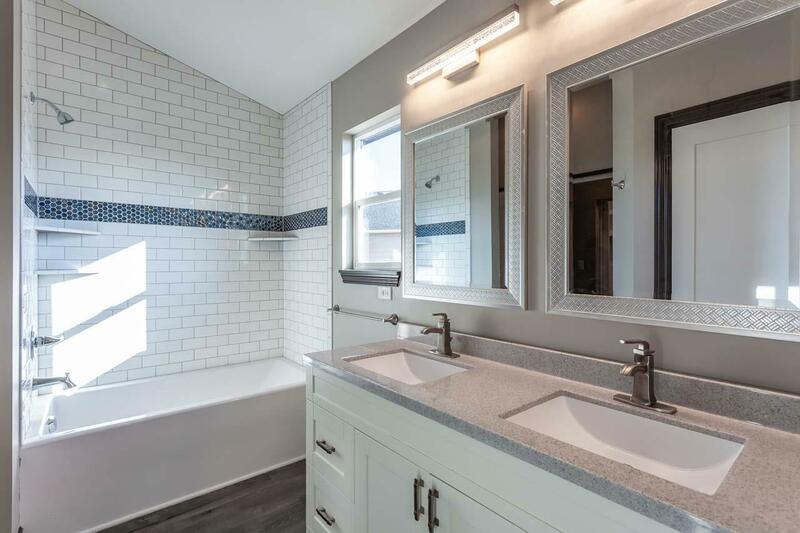 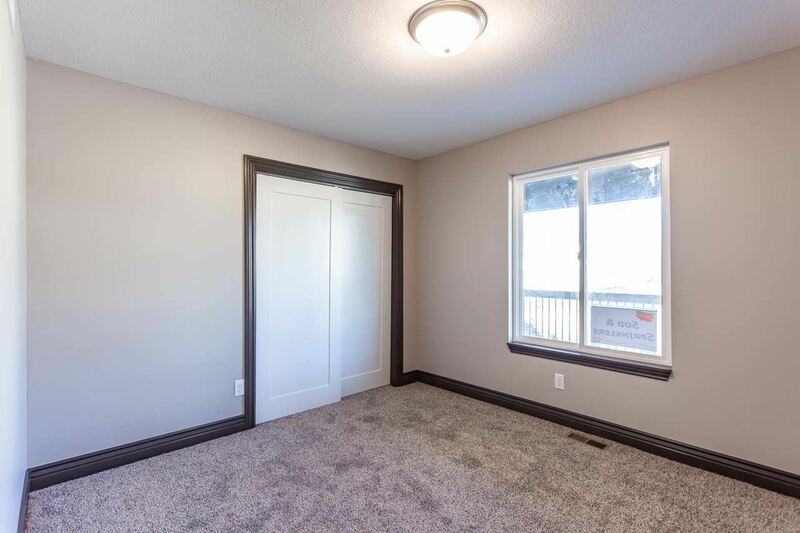 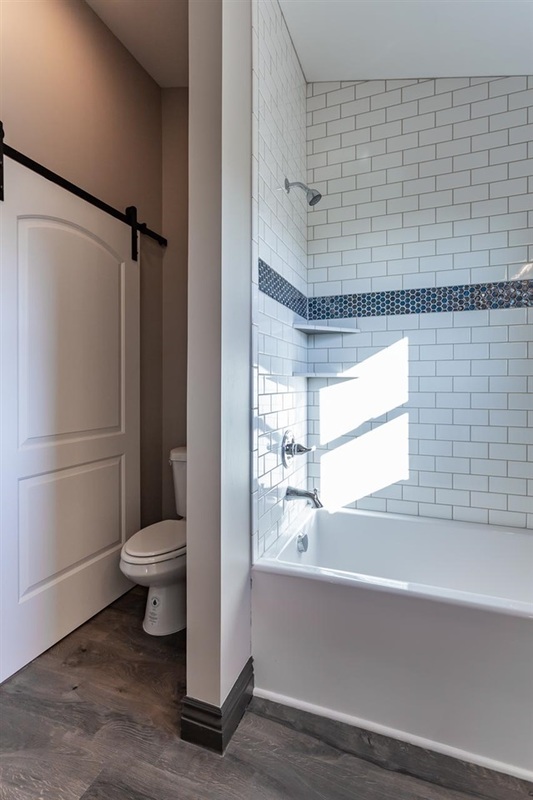 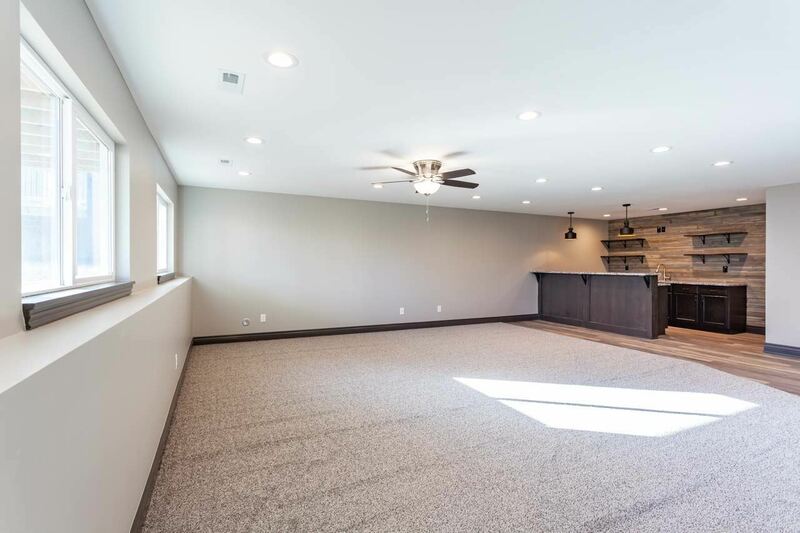 This home also features a main floor laundry room (located just off the garage and features access to the master closet) and a basement laundry area. 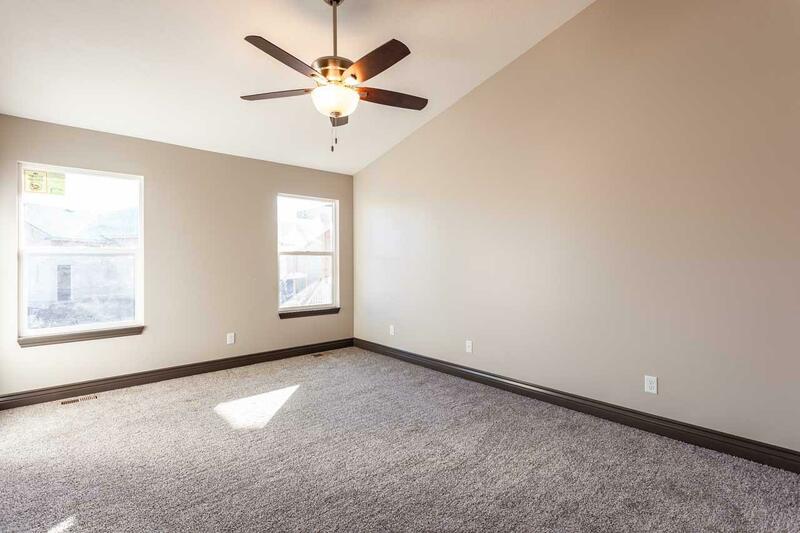 The basement bedrooms are huge: 14'9 X 10'8! 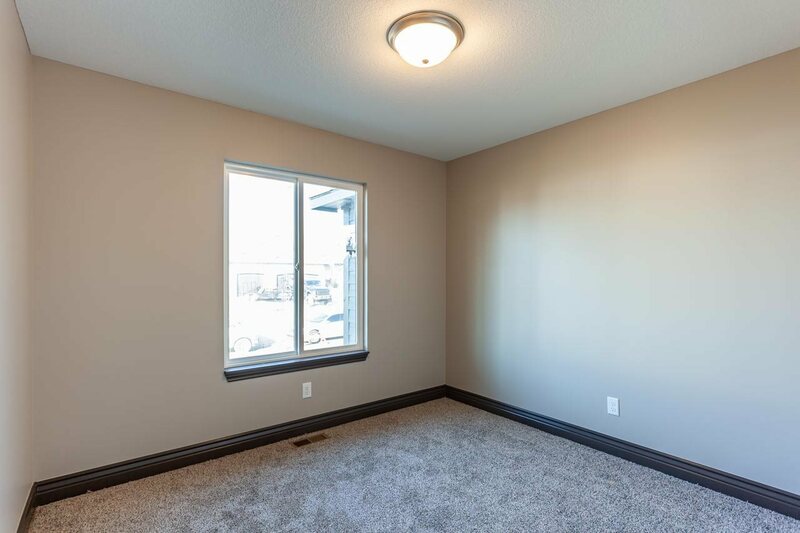 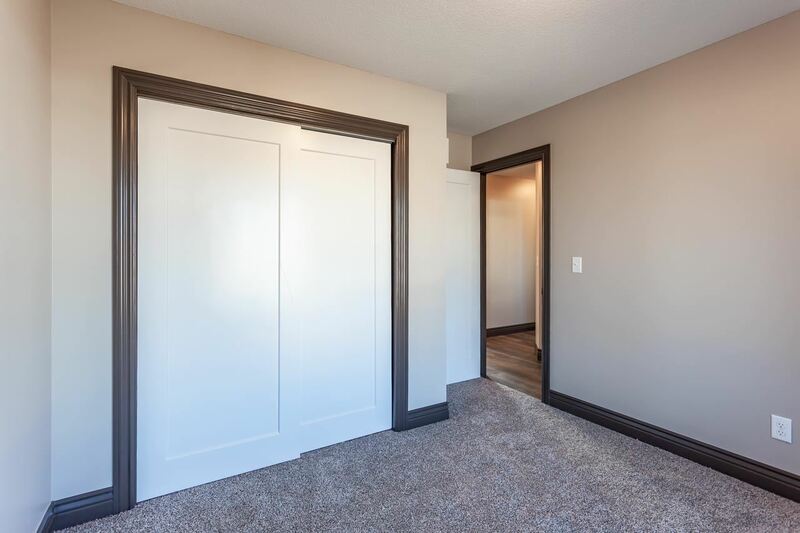 One of these bedrooms has direct access to the basement bathroom and a huge walk-in closet (we like to think of it as a MINI EN SUITE!). 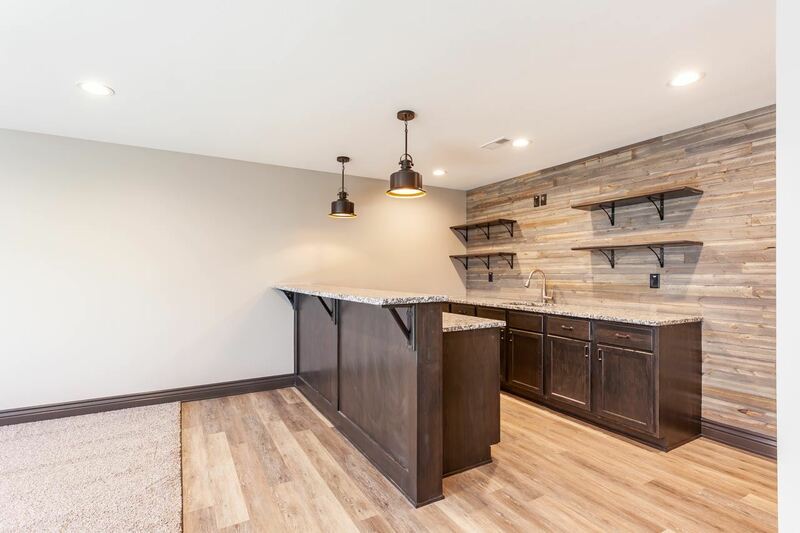 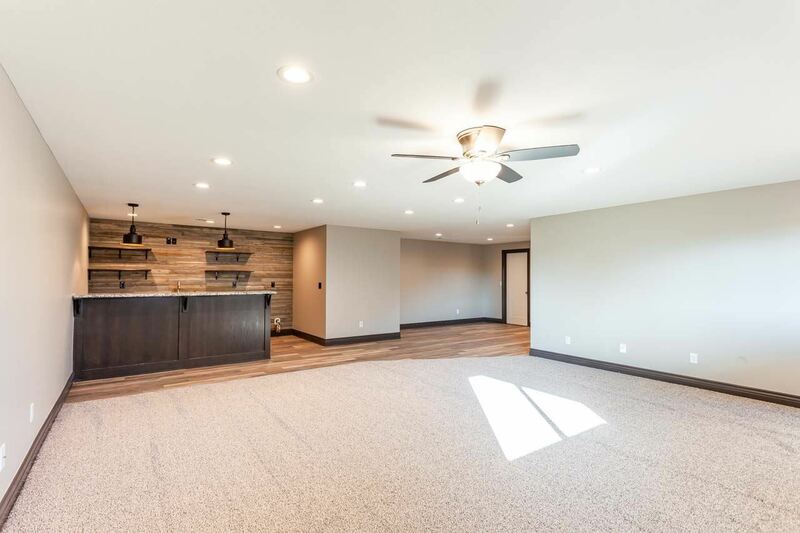 The basement features an awesome wet bar with room for a full-sized refrigerator! 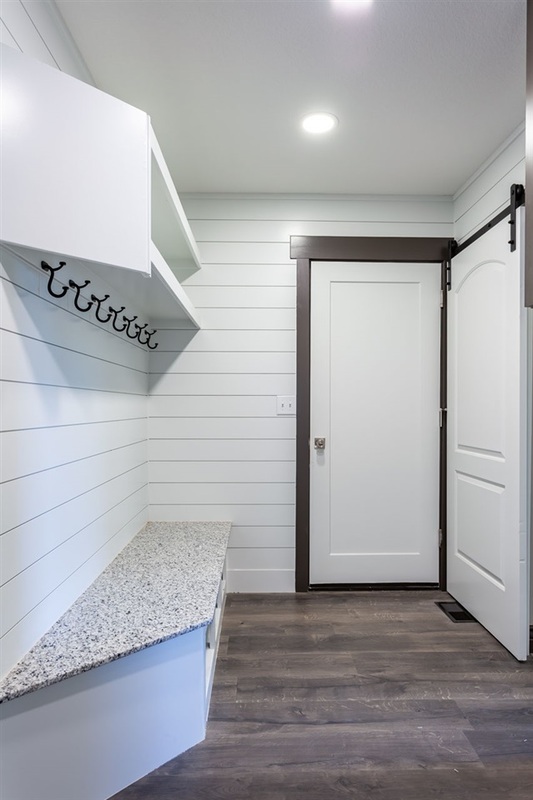 The extra deep three car garage offers plenty of storage and the ability to park your long bed truck inside and away from the elements. Sod, sprinkler, and well included.